Student loan debt is not fun to have. While it may have been necessary to pay for school, now that you’re graduated, it’s time to think about ways to pay off your student loans faster. If you’re looking at your repayment plan options - even the shortest term is usually around 10 years. That can seem like forever! At the same time, looking at these long time frames could also motivate you to see what you can do to get out of student loan debt fast. Luckily, there are a lot of ways to get out of student loan debt fast - it just takes a solid repayment strategy and knowing your options. We’ve put together a list of ten of the best ways to help you formulate that plan. Remember - this is about paying your student loans faster. Getting aggressive with your student loan debt. These ideas might not work for everyone, or at least not today. It’s always important to assess your own situation, and then layer in these tactics as you’re able to. The first step in eliminating your student loan debt is getting organized. You need to know what you have and what you owe. By the time you graduate, you can have multiple loans at different lenders - all with different payments and due dates. It can be confusing to figure out where to begin. Federal Loans: If you have Federal loans, you can find them in the National Student Loan Data System. Private Loans: If you have private loans, locating all of them may not be as easy. Most private lenders will provide information via email and provide regular statements, which you can attempt to track down. If you did not retain your lender information, contact your school and check your on-file lender. You can also look up your credit report for free at AnnualCreditReport.com, and see what loans are listed. Once you’ve found your loans, know what you owe, you can start to formulate a plan to pay off your student loans faster. If you’re getting aggressive on paying off your student loans, lowering your interest rate could save you a lot of money while you’re paying down your loans. Enter your info here to find out what you lower interest rate could be! This savings could potentially add up to thousands of dollars. To learn more, check out our Ultimate Guide To Student Loan Refinancing. Did you know that many student loan lenders offer interest rate reductions? For most Federal loans, you can get a 0.25% interest rate reduction by signing up for auto-debit of your monthly payments. For private lenders, there can be even more savings. For example, at Citizens Bank, you can save 0.25% by signing up for auto-debit, but you can also save an additional 0.25% when you also have another account at Citizens Bank - like a checking or savings account. You can find out more about Citizens Bank’s rate reduction discounts here. For example, If you have a $30,000 loan at 5.5% APR for 10 years, making that monthly payment of $326 you’ll pay roughly $9,069 in interest over the life of the loan. But if you were able to reduce your interest rate by 0.50% - to just 5.0% APR - you’ll reduce your monthly payment to $318 and you’ll save $886 in interest! Check out more rate and repayment examples on Citizens Bank’s website here. That’s a huge savings for doing some very simple tasks. This advice applies to people who are wanting to be aggressive and pay off their student loans fast. If you can’t afford your monthly payments as it stands, income driven repayment plans are a great choice. But if you’re paying more on your loans and reasonably believe that you can afford it into the future, you should probably avoid income driven repayment plans. Income driven repayment plans like IBR, PAYE, and RePAYE are great to provide a low monthly payment, but they end up costing more in interest over the life of the loan. For people looking to aggressively pay off their loans, this just adds more in cost. Challenge yourself to stay on the standard 10 year repayment plan for Federal loans, or consider refinancing to a private loan to save money. After you’ve tackled all your loan options directly, it’s time to look elsewhere to see where you can get extra money to pay towards your loans. Expenses is the number one place to start. We all have extra things in our budget that we can reduce or eliminate to save money. I know lattes are cliche, but there are other things as well. Check out our full list of 15 things that you can do to save $500 per month. The bottom line is that you need to evaluate all recurring payments. You might be surprised how much you can save my going through your budget line by line. If you don’t know what you’re missing, consider using a tool like AskTrim. Trim helps stop recurring charges by looking at your monthly spending and helping you save. Check out more about Trim here. The important thing here is, whatever money you save in your budget, don’t spend it! 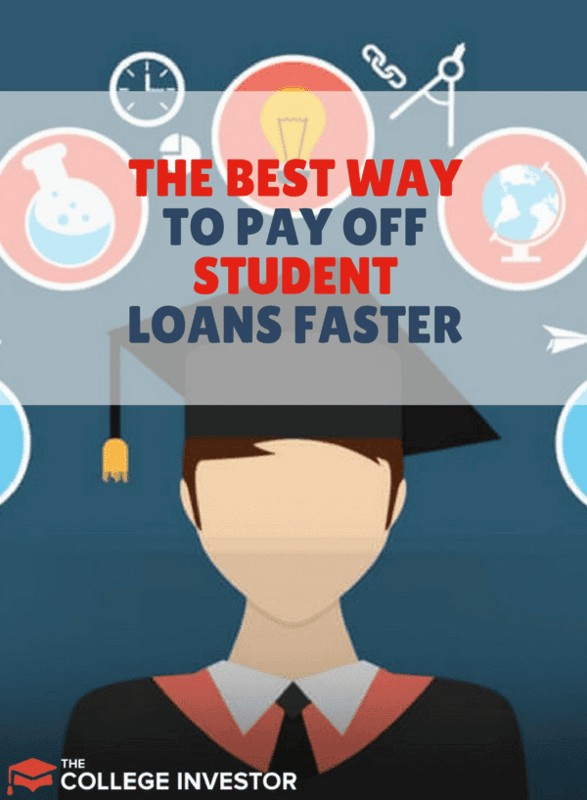 You need to put it towards your student loan debt so that you can pay it off faster. After you’ve trimmed as much as possible in your budget, I challenge you to look around your house to see how much stuff you have that you could sell. What?!?!? Sell stuff? Yes! Sell the stuff around your house that you aren’t using and haven’t used in a long time. When I was getting out of debt, I was selling about $2,000 per month on eBay. I started this by selling stuff I no longer used. There are so many ways to sell your old stuff these days - from eBay, to Amazon, Facebook Offers, to Craigslist. If you haven’t used an item in 6 months to a year, consider selling it! Once you’ve sold what you could, it’s time to talk about earning extra money. This is the part that seems daunting to many, but earning extra income is one of the best ways to make huge progress towards your financial goals. There are a lot of ways to earn extra money, so don’t think it requires you to become an entrepreneur or small business owner. Start with what you know. If you’re already employed, see if you can work extra shifts or pick up overtime to earn more at your day job. You can also get a second job and works nights and weekends as a supplement to your day job. Of course, there are always side gigs like driving for Uber or Lyft, delivering for Postmates or similar, or even one-off gigs that you can find on Craigslist under the “Gig’ section. The bottom line is that there are a lot of ways to earn extra money if you want to devote your time and energy towards it. We have a list of over 50 ways to earn more money if you’re unsure of where to start. 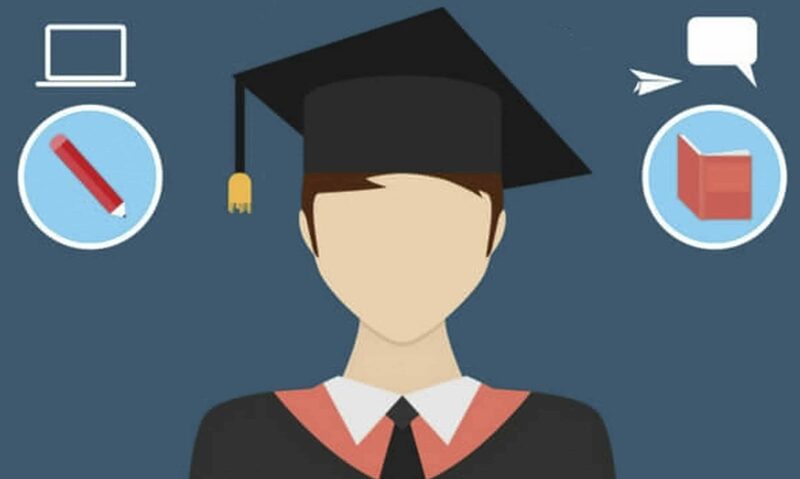 More and more employers are offering student loan repayment assistance programs to help their employees pay back their student loan debt. If your employer offers this, you need to take advantage of it. Other employers offer student loan refinancing discounts where you can get a lower “special” APR or other perks when you refinance your student loan debt. Either of these programs are a great way to help pay down your student loan debt faster. But you don’t know if you don’t ask. Check your employee benefits website or talk to your Human Resources representative to see if your employer offers anything to help you with your student loan debt. Check out a list of companies that offer student loan repayment assistance programs. If you get an unexpected infusion of cash (maybe from a tax refund or inheritance), you can apply that to your student loan debt to really make progress on your loans. If you check out the Student Loan Debt Movement Leaderboard, many of the top loan payoff amounts were due to using tax refunds, bonuses, and inheritance. Using that extra, unexpected income can really go a long way to making huge progress on your loans. You can also use this strategy in combination with refinancing. For example, if you pay down your loan a significant amount, you can then refinance the remaining balance. This could help you save money over the life of the loan since you’d be paying a new loan versus still being on the terms of the old loan. A great trick to pay off your student loans faster is to pay your loans more often. For example, instead of making monthly payments, try paying bi-weekly or even weekly student loan payments. This may sound odd, but the math works to pay down your loans faster. The reason is, most months have four weeks. However, there a few months that have a “fifth” week. Let me show you how this works. For example, let’s say your monthly loan payment is $400 per month. If you paid that for the year, you’d pay $4,800 per year. However, if you took that $400 and paid weekly, you’d pay $100 per week. Since there are 52 weeks in a year, you’d pay $5,200 - $400 more! The cool thing about this plan is that it doesn’t seem like a big difference, but that extra money can make a huge difference in paying off your loans faster! Paying off your student loans can seem impossible when you’re just starting out. But there is light at the end of the tunnel - and there are a lot of steps you can take to make that tunnel even shorter. These ideas are just a few of the many possibilities for paying off your student loans faster. If you want to aggressively pay off your student loan debt, take action and make it happen. We’d like to celebrate your victories with you. What steps have you taken to pay off your student loans faster?